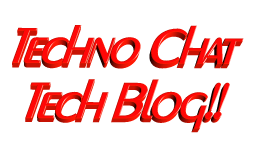 reverse array in powershell | Techno Chat|Tech Blog!! As being a Windows Administrator I use PowerShell every day and the best part of it is, I learn something new every day. In simple word PowerShell can make your life easier, and I think you all agreed with it. I often requested to pull various reports from various sources and it was not always possible to get the exact report by executing one or more cmdlet. Sometimes had to manipulate certain strings from cmdlet output or reading some specific log files for generating reports. Here I will share my experience on how we can easily working with strings in PowerShell. TASK – 1: Validate the target computer is located in Non-Prod OU or Not. Now I have to split the variable with “,”, so that I will be getting it into the following order. Posted in Admin Tools, PowerShell, Scripts, Windows Phone. Tagged array to string, how to join arrays in powershell, how to join arrays in powershell without space, how to reverse array in powershell, powershell array join comma, read logs in powershell, reverse array, reverse array in powershell, reverse string, reverse string in powershell, string manipulation, string manipulation in powershell, String to array, test manipulation, text manipulation, text manipulation in powershell. Every morning get up & look at the list of richest people in the world.